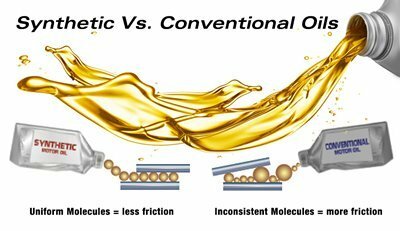 Is synthetic oil better than conventional oil? It is more expensive than regular motor oil, so what makes it better? Why should you think about using it in your truck, 4×4, SUV or car? Below are some of the benefits of using synthetic motor oil, you be the judge! Synthetic Motor Oils Do More Than Other Motor Oils Do. Motor oil must provide easy cold weather start-up. Petroleum oils are refined oils that contain wax, thickening in cold temperatures and causing the oil to lose fluidity and create drag on the engine upon start-up. Enough drag inhibits the engine from reaching the critical cranking speed required for the engine to start. Synthetic Motor Oils contain no waxes, naturally maintaining their fluidity in extremely low temperatures. Synthetic Motor Oils flow quickly and reliably to allow easy starting and immediate lubricating protection. Motor oil must prevent the metal-to-metal contact within an engine that causes wear, scoring or seizure of engine parts. Oil films on critical engine parts must be constantly replenished through adequate lubricant flow and distribution. Synthetic Motor Oils cling tenaciously to engine parts, providing superior protection against wear even when faced with high temperatures and intense shearing forces that cause conventional oils to vaporize, shear back and lose their lubricating effectiveness. Take a look at our review of the best 7 synthetic oils to find the perfect fit for your Truck or SUV. Motor oil must neutralize the effects of water and other combustion by-products that form rust. Rust-inhibition is an especially important feature for stored engines and engines subject to frequent short trip operations. Synthetic Motor Oils are formulated with special rust-inhibiting additives, preventing the rusting of engine parts. Motor oil must maintain an oil film that keeps the surfaces of moving engine parts separated, minimizing friction that produces excess heat and inhibits fuel efficiency. Synthetic Motor Oils are formulated to keep friction to an absolute minimum, providing outstanding film strength that prevents metal-to-metal contact and minimizing internal fluid friction to provide maximum fuel efficiency. Motor oil must keep engines clean with adequate detergent/dispersant additives that prevent the build-up of sludge and varnish deposits which lead to oil flow restriction, increased wear, loss of power and increased oil consumption. Synthetic Motor Oils are formulated with top-quality detergent/dispersant additives designed for long-term performance, effectively keeping engines clean and deposit-free while maintaining the superior protection properties of the oil. Motor oil must protect engines from the damaging effects of corrosion formed through the combination of water, unburned fuel, combustion by-products, acids and gases. Synthetic Motor Oils are formulated with corrosion inhibitors and high total base numbers (TBN), providing outstanding protection against the damaging effects of corrosion. Motor oil must cool several critical engine components, including the crankshaft, rod bearings, camshaft and its bearings, timing gears, pistons and turbocharger. These parts rely on supplies of cool oil in order to pick up and carry heat to the crankcase, where it is transferred to the surrounding air. If parts are allowed to overheat, engine failure soon follows. Synthetic Motor Oils are formulated with superior synthetic base stocks, exhibiting exceptional heat transfer properties and lubricity the effectively cool critical engine parts and reduce engine operating temperatures. Motor oil must burn cleanly and hold combustion chamber deposits to an absolute minimum. Excessive deposits cause spark plugs to short out and combustion problems such as pinging and knock. Deposits also act as heat barriers, causing damage to engine components. 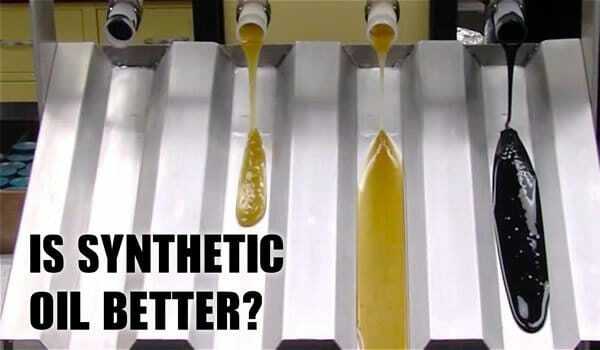 Synthetic Motor Oils run naturally cleaner than conventional oils. Formulated with superior detergent/dispersant additive packages, AMSOIL Synthetic Motor Oils provide outstanding deposit control for extended drain intervals. Motor oil must “fill in” the microscopic hills and valleys present on the surfaces of piston rings, ring grooves and cylinder walls, sealing the combustion chamber and preventing high combustion and compression pressures from escaping into the crankcase and reducing engine power and efficiency. Synthetic Motor Oils maintain highly protective lubricant films on rings and cylinder walls, keeping engine power and efficiency at their peak, while also effectively protecting against wear. 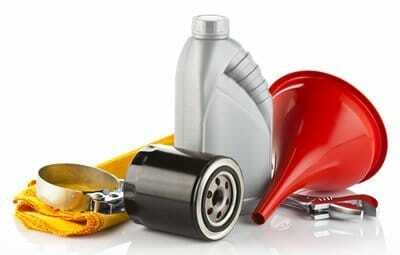 Motor oil must contain effective antifoam additives in order to preserve the lubricant’s protective qualities. Moving engine parts cause air in the crankcase to be constantly whipped into the oil, causing foam that compromises proper heat conduction and wear protection. Synthetic Motor Oils contain high quality antifoam additives and resist foaming in service, allowing the superior wear protection and heat transfer properties of Synthetic Motor Oils to be maintained for extended drain intervals. Synthetic Motor Oils are formulated to provide maximum fuel efficiency. The smooth, uniform molecules produce minimal internal friction, allowing maximum energy to each the drivetrain. Independent tests show fuel savings of five to eight percent when using Synthetic Motor Oils.